A good consumer app keeps the user in mind through every stage of development to create the best experience possible. And enterprise apps should not be an exception to this rule. Here’s why. Mobile apps have become a cornerstone in the enterprise as a way to connect business leaders, clients and employees. A major contributing factor to this shift, according to Adam Fingerman, cofounder and chief experience officer of ArcTouch Mobile & Connected Experiences is our reliance on our mobile devices; there's even a name for this phenomenon, "nomophobia." This reliance on technology has fundamentally affected businesses that have adopted a "if you can't beat them, join them" attitude about mobile devices. But a problem arises when a business thinks it can just create an app and expect employees to use it. People are accustomed to using apps that are finely tailored to their user experience, easy to use and fun. Business apps should be no exception -- if you want them adopted by your staff. 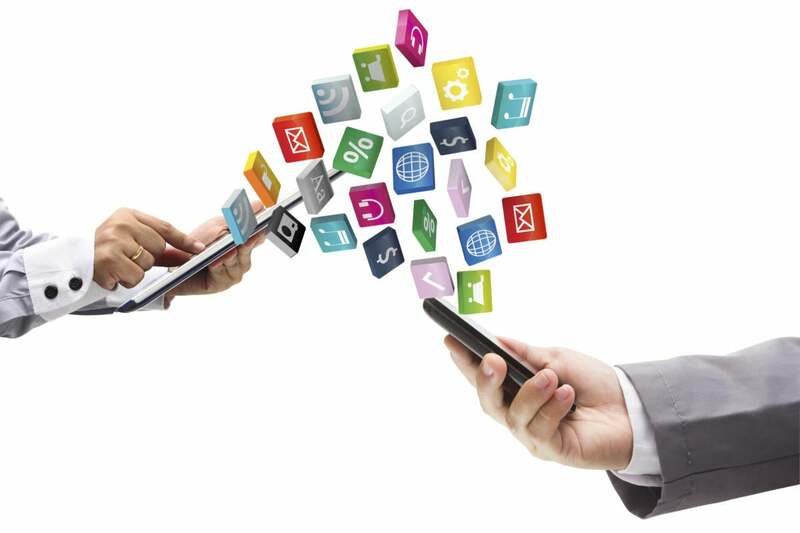 Enterprise mobile apps have taken off recently for a variety of reasons. Fingerman points to three major trends that have spurred the rise of apps. The first is the increase of BYOD and BYOA, which means more employees are walking through office doors equipped with personal mobile devices they use to access work-related information -- whether it's approved by IT or not. Next, he points to the "emergence of mobile development platforms," as it becomes increasingly easier to create and develop your own apps. Finally, Fingerman says that another major influence is the fact that IT is starting to embrace BYOD instead of viewing it as something to control. These three factors have influenced business leaders to adopt and grow with mobile technology, rather than resist it. Employees use apps every day for personal reasons, so it's easy to see why businesses would assume it is a natural transition to use apps for business. That is certainly true in some cases, but not in the case of poorly designed enterprise apps. What makes an app bad? There are two categories of "bad apps," according to Fingerman: Those that simply don't work and apps that offer a poor user experience. The first problem is currently easier to solve, thanks to "advances in enterprise mobile development tools like Xamarin, IBM MobileFirst, and others that make it easier to build a functional, working app faster than before," he says. To Jonathan Foucheaux, partner at Solomon Group, an entertainment technology design and production company, a bad app is one that doesn't keep the user in mind. "They need to consider the environment in which the app will be used. Are you creating an app for the guys in the warehouse or are you creating an app for the sales person in the field meeting with clients? The audience dictates user experience, styling and, obviously, functionality." But the user experience needs to be considered from the get-go, because making changes after the fact to meet users' expectations is not a simple fix, and it's where most businesses get enterprise app development wrong. "When it's a bad user experience, it's probably because the primary tasks of the target user aren't well understood, and the app's key value proposition isn't well defined," Fingerman says. Bad apps are often a result of an organization trying to get an app pushed out too fast, when it doesn't define the use-case ahead of time or when the app is "trying to accomplish too much, and it fails to do anything well." And if this is the case, Fingerman says the only thing to do is go back to square 1. The overall user experience of an app is one of the key factors to its success, but what exactly does that mean? To Fingerman, a well-designed enterprise mobile app "has focus and solves a clearly defined, real-world problem." The app should help alleviate part of the user's daily tasks or make them easier, it should be simple to navigate and use and it should help employees become more productive. But developing an app that becomes an internal company hit isn't simple, especially with so many employees to consider. "The trick is to find the overlap of the organization's objective for building an app and the actual user need. From that perspective, an internal enterprise mobile app is really no different than a startup building a consumer app. You may have what you think is a great idea for an app that solves a perceived problem, but if your target user doesn't share that perception, then it will fail," he says. Solomon Group's Foucheaux says a quality app is about creating something useful for the user. "A good mobile app must benefit the end user. It can't just, for example, collect data for the finance department" By creating a "good app," you can help increase productivity and create happier and more engaged employees. But sticking your workforce with a clunky app that doesn't function well will do the exact opposite. For corporations trying to develop apps for their employees, focusing on quality is important because of users' expectations. Fingerman points out that apps have become an integral part of our day, whether scrolling through your social media accounts, trying to find a local restaurant or checking daily stocks, users have come to appreciate a well-made app. And if they don't know they appreciate a good user experience -- they'll realize it pretty quickly when met with a poor UX design. One example of a quality app, Fingerman says, comes from United Airlines. While on a flight, he noticed that flight attendants had tablets that they referenced as they moved through the plane. "One attendant wished a child happy birthday -- she knew his name and how old he was. Later, I asked if they were using a custom app. She showed it to me, and it looked similar to the app I used to choose my seat when I booked my flight. But instead of simply seeing seat numbers, she could see information about each passenger mapped to their assigned seat." Well-designed apps can have a profound impact on how a business operates, especially for customer-facing departments. Developing an app that employees are happy to use can -- like in the case of United -- make their jobs easier. And, in this case, it helps the flight attendants offer better customer service, which has a positive impact on the overall brand. Technology moves a lot faster than most businesses move -- especially for large corporations entrenched in years of routine. But even businesses that move slowly can embrace enterprise apps by heading into the process with a clear plan. Just because an app won't be customer- or client-facing, it's still important to focus on the usability and overall experience of the app. Fingerman cites a Gartner study that found "demand for enterprise mobile apps is going to outpace development resources 5-to-1," so it's important to go into enterprise app development with a clear strategy. Part of that strategy should include getting stakeholders on board, defining the ROI and clearly illustrating who the app will help, and why. He also notes that even enterprise apps need a go-to-market strategy; you need to promote it, encourage engagement and accept feedback. But it doesn't end there, a mobile app can't remain static, according to Fingerman. Businesses need a strategy to maintain the app, make changes and add new features as technology and the company grows. And, of course, none of this can be accomplished without the right resources -- mainly budget and manpower. "We expect that a lot of companies are going build a lot of bad apps over the next few years because of time pressure and lack of resources -- and an area that's likely to suffer from these shortcuts is nailing the user experience," Fingerman says.